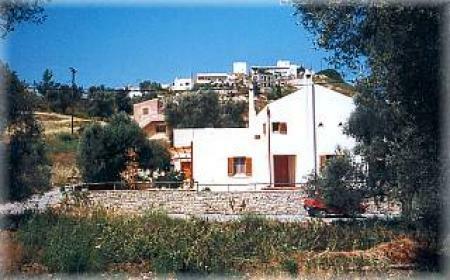 Private Holiday Home called "Lele" for rent on Crete, Greece! The original, traditional Cretan village Kamilari is located on a ridge, close to the Libyan Sea (2.5 km). The traditional greek town of Kamilari is situated near a small range of hills close to the Liberian sea (2,5 km) and the Messara-flats. Kamilari has two small shops and three taverns. It also has a money-exchange and a car/moped rental. Around Kamilari there are excavations from Minoan times (3000 BC). Near the village is the beautiful long sandy beach Comos. From there you have an impressive view of the Ida Mountains. At the not overcrowded beach you will always find a lonely place. Nudist and parasol rental possible.